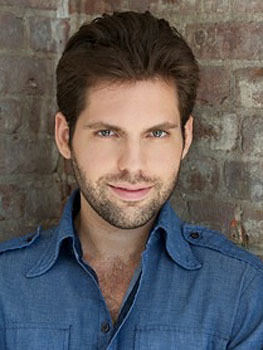 Éric-Dominique Pérez, shown at right, was highlighted in Remezcla for his self-penned solo show El Gringuito (directed by A.B. Lugo and assistant directed by Billy Martín Mejía). The show, which is scheduled for a March run at HERE Arts Center in Manhattan's SoHo neighborhood as part of the Downtown Urban Theater Festival (DUTF), was called "funny, honest and a show not to be missed!" For more information, click here. 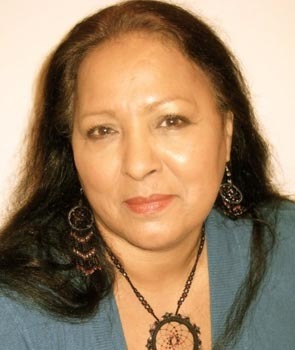 Caridad de la Luz (also known by her nom de poésie et de musique La Bruja and her Taíno name Kachianao) is scheduled to host the fifth annual Taíno Awards. The ceremony is scheduled to take place on Saturday, April 20, 2013 at the Bronx Museum of the Arts in the Morrisania section of the Bronx and will feature performances by Divine RBG, Cynthia Paniagua, Intikana, Milteri Tucker and El Grito de Poetas. For more information, click here. 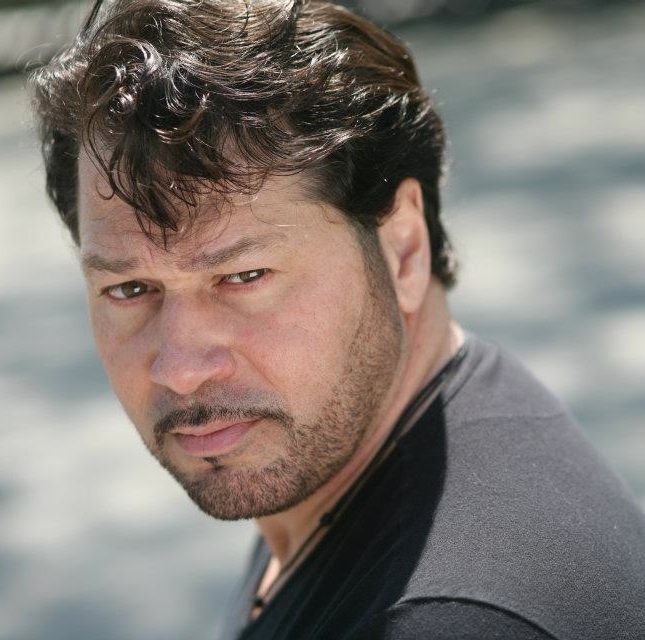 Carlos A. González performed a set of standup comedy in February at the famed Standup NY comedy club in Manhattan's West Side. Gustavo Pace, shown at left, is performing his self-penned solo show Naked Brazilian (directed by Lou Liberatore) in April at Dixon Place, located in Manhattan's Loísaida neighborhood. For more information, click here. 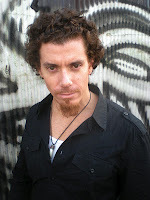 In addition, he was the subject of a profile in the Brazilian Voice. To read the interview (which is in Portuguese), click here. 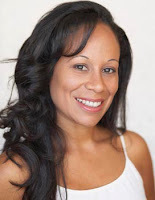 Dinorah Coronado's play Mujeres de febrero con Duarte was presented in February and March at the Comisionado Dominicano de Cultura en los Estados Unidos, located in Manhattan's Washington Heights neighborhood. 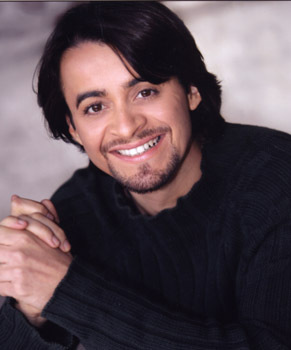 Directed by Coronado, the production starred Roberto Larancuent, Coronado, Yini Rodríguez and Olga Camil in the cast. (Top row, left to right): Mauricio Alexander, Javier Ethan Gómez; (second row, left to right): Annie Henk, Félix Hiciano; (third row, left to right): Daniel Anthony Hidalgo, Irma-Estel LaGuerre; (fourth row, left to right): Ana Maldonado, Albania Matos; (fifth row, left to right): Lisette Medina, Rita Ortiz; (sixth row, left to right): Kevin Pérez, Ányela Quiñónez; (seventh row, left to right): Ángel Rosa, Izzy Ruiz; (eighth row, left to right): Will Saldarriaga, Francisco Stanzione; (ninth row, left to right): Ziad Tayeh, Germania Vásquez; (last row): Tairy Ynoa. Not pictured: David Díaz, Virginia Lizárraga, Bernardo Torres. 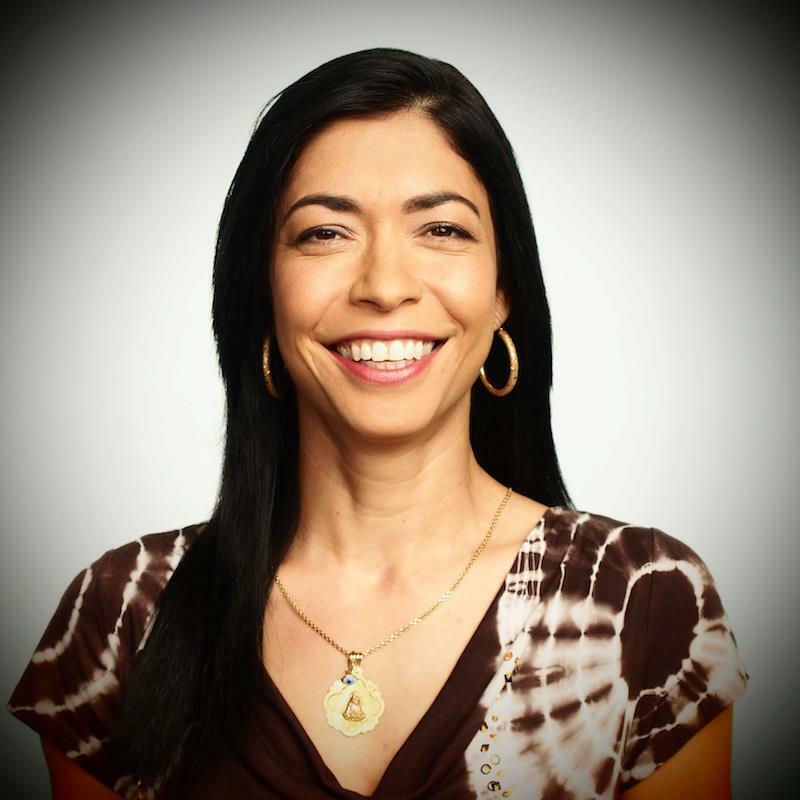 Caridad de la Luz (also known by her nom de poésie et de musique La Bruja) and Loren Escandón, shown above, from left to right, are among those featured in the HBO Latino “Habla Women” campaign. They join Latinas such as Daisy Martínez, Michelle Herrera Mulligan, Vanessa Del Río and Peggy Robles Alvarado in the campaign directed by Alberto Ferreras. A teaser clip can be seen below. Carlos A. González is starring in the short film Solitaria (written and directed by Nelson Isava). 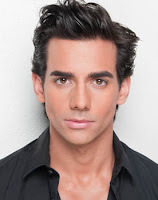 In addition, the actor-comedian-filmmaker is hosting Comedy Night at Niko’s in White Plains, New York on Friday, March 1, 2013, where he will feature comedians Ángelo Lozada, Vladimir Caamano and Sergio Chicón. Félix Hiciano and María Salas are starring in the play Little City. 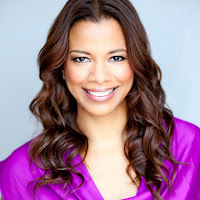 Written and directed by Richard Thomas Henle, the play will have a run in March and April at Manhattan Repertory Theater, located in the theater district of midtown Manhattan. The documentary, Latinos Beyond Reel: Challenging a Media Stereotype, shot and produced by Edwin Pagán, will be screened at the National Conference for Media Reform in Denver, Colorado in April. For more information, click here. 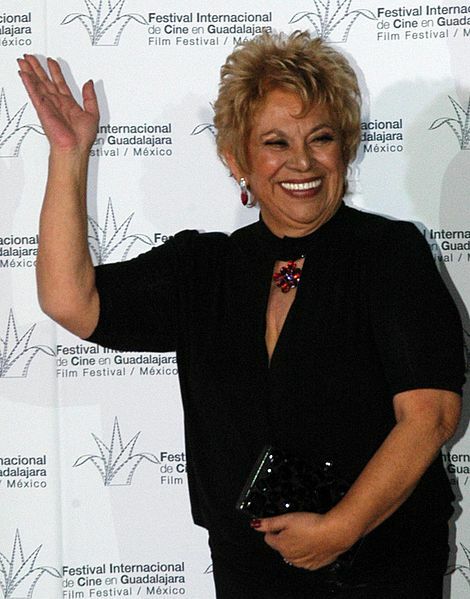 Check out this article by Elia Esparza in Latin Heat regarding the double snub that Lupe Ontiveros received from the Academy of Motion Picture Art and Sciences (AMPAS) for neither including her in the televised "In Memoriam" section of the 85th Annual Academy Awards nor in the online slideshow for those not mentioned in the telecast by clicking here. 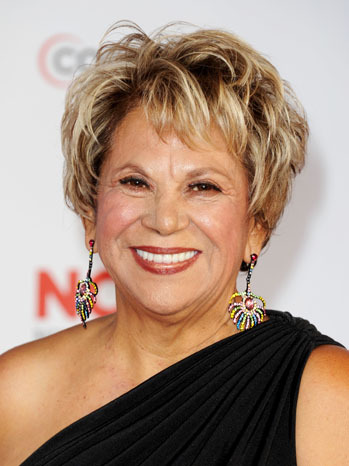 For more information about Lupe Ontiveros, click here or click on the video below. Where Are The Latino Journalists On U.S. English-Language News Networks? Soledad O'Brien is no longer a host on CNN (she will remain as a "nonexclusive producer" for the news network). It made me wonder, Where are the Latino journalists on English-language news networks in the United States? There is Elizabeth Vargas of news magazine "20/20" (ABC), Natalie Morales of NBC's "The Today Show" (although that is more entertainment than news), and... that's about it. Check out this article by Julio Ricardo Varela of Latino Rebels on how mainstream U.S. television continues to ignore the growing Latino demographic (which starts off with the HOLA Award-winning journalist Soledad O'Brien) by clicking here. Mansur Gidfar of Upworthy calls Soledad O'Brien "CNN's best journalist" in his blog which you can read here. You can also see a corresponding video there or by clicking on the video below. Inma Heredia, shown at left, will play Claudia in the first ever film adaptation of Ramón del Valle Inclán’s play Luces de Bohemia. Now titled Bohemian Lights, it is produced by Rémy Saint-Denis, written by The Live Source Collective and will be directed by Tyler Mercer. For more information, click here. She booked the work through a casting notice that HOLA sends to its members and self-submitting. Caridad de la Luz (also known by her nom de poésie et de musique La Bruja), shown at right, wrote and performed the opening track (“Prelude”) on Prince Royce’s second album, Phase II, which just won the Premio Lo Nuestro Award for Tropical Album of the Year. ¡Madre Mía!, the SAG-AFTRA webseries written and directed by Francisco Lupini Basagoiti and produced by Francisco Fuertes is an official entry of the Hollyweb Film Festival. The webseries stars Soledad López, Juan Villarreal, David Vega and Alfredo Huereca. For more information on the project, click here or here. Éric-Dominique Pérez appeared with Christine Suero and Verónica Caicedo on the talk show “Open” (hosted by Rhina Valentín). Pérez was there promoting and doing an excerpt of his self-penned solo show El Gringuito (directed by A.B. 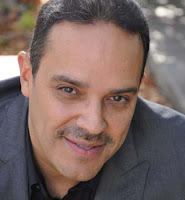 Lugo and assistant directed by Billy Martín Mejía) which is scheduled to be presented in March at HERE Arts Center in Manhattan’s SoHo neighborhood as part of the Downtown Urban Theatre Festival. For more information, click here. To see Pérez in action, click on the video below (he appears starting at about 08:15 into the video). Tony Rodríguez appeared in the first of a series of fitness segments on the television program “La revista semanal” (MundoFox). To see the segment (which is in Spanish), click here. 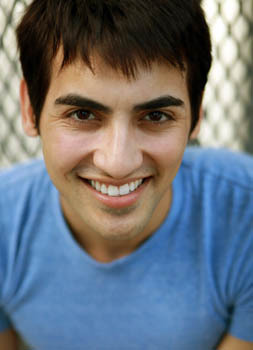 Daniel Anthony Hidalgo is currently filming the short film Downtime (written and directed by Amos Efrat). 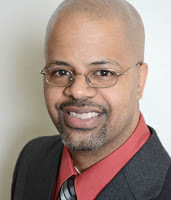 Mike Smith Rivera (also known by his nom de clown Mister Clown) conducted “clown on the street” interviews in New York’s world famous Times Square to comedic results. Take a look at “What Up?” by clicking on the video below. 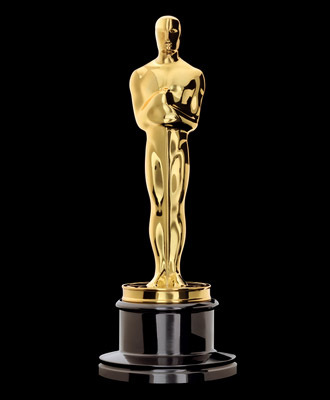 Over the 85-year history of the Academy Awards (also known as the Oscars), Oscar nominations have been given to Latino/Hispanics from Argentina, Brazil, Chile, Colombia, Mexico, Puerto Rico, Spain, Uruguay and the United States... and not just in acting. The list of Academy Award winners (as of press time) from Latin America and Spain is below. Anthony Quinn, Gustavo Santaolalla, Emile Kuri, Robert Amram and Gil Parrondo are multiple Oscar winners. Eugenio Zanetti (art direction); Gustavo Santaolalla [twice] and Luis Enríquez Bacalov (original score). The 85th Academy Awards ceremony (referred to as The Oscars), presented by the Academy of Motion Picture Arts and Sciences (AMPAS), took place February 24, 2013 at the Dolby Theatre in Hollywood, California. 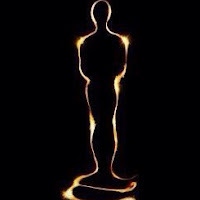 While the Oscars of the previous year had eight nominees who were Latino (including acting nods for Demián Bichir and Bérénice Bejo), this year's batch of nominees had no Latinos in the acting categories (nor in direction nor screenplay in what the Oscars call the "Big Five" categories). The only Latino nominees were Paco Delgado (Costume Design for Anna Karenina), José Antonio García (co-nominee for Sound Mixing for Argo), the Chilean film No (directed by Pablo Larraín and nominated for Best Foreign Film) and Chilean-born Claudio Miranda (Cinematography for The Life of Pi). Of these nominees, only Miranda won an Oscar (and denying now 10-time nominee Roger Deakins from picking up his first Oscar). 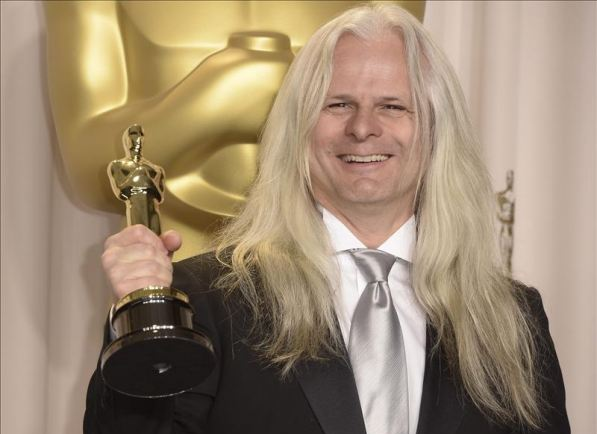 And yet, Latinos were present in the ceremony, from presenters Salma Hayek (herself a former Oscar nominee) and Zoë Saldaña to Fátima Ptacek (star of the Oscar-winning live action short film Curfew) to the subjects of the Best Documentary Oscar winners. 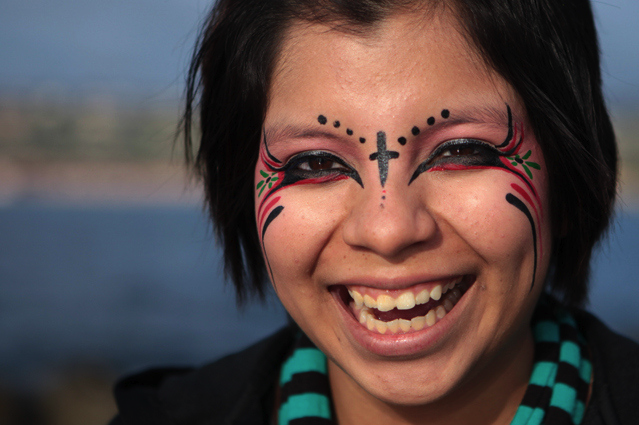 This year's Academy Award winner for Best Documentary - Short Subject was Inocente (directed by Sean Fine and Andrea Nix Fine), which tells the story of a 15-year-old homeless girl in California who aspires to be an artist. 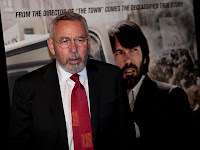 The film was part-financed by the crowdfunding website Kickstarter (an Oscar first). The filmmakers brought up their subject when they accepted the award and spoke about the need to support artists in general. If you would like to see the documentary short, click here. 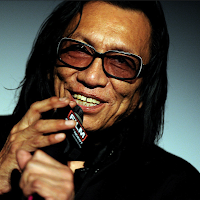 This year's Academy Award winner for Best Documentary - Feature was Searching For Sugar Man (directed by Malik Bendjelloul), which tells the story of two South African fans trying to find the whereabouts of their favorite musican, Rodríguez. The film was originally shot on 8mm film to record the film, but when the director ran out of money for more film to record the final few shots. The remainder of the shots were shot on the director's smartphone using an application called 8mm Vintage Camera to complete the film. 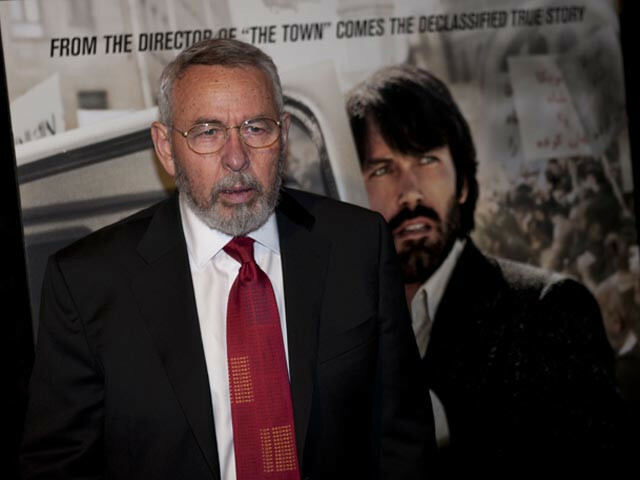 And of course, Argo, based on the life of Antonio "Tony" Mendez, won Best Picture (as well as Best Film Editing and Best Adapted Screenplay). This year was also the second year where Puerto Rico was declared ineligible in the Best Foreign (Language) Film category after being considered and having films submitted since 1986. The Puerto Rican film Lo que le pasó a Santiago (What Happened to Santiago), directed by Jacobo Morales, was an Academy Award nominee for Best Foreign Language Film in 1989. All in all, this year's Academy Awards were a mixed bag for Latinos. Latinos are in the film industry and always has been. Heck, even the statuette of the Academy Award is modeled on a Latino actor-screenwriter-director. And with the growing number of Latinos in the United States, it is about time that Hollywood actually wakes up and takes more notice. 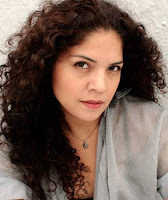 Lorraine Rodríguez was originally supposed to be performing in the title role of a workshop presentation of the play Julia de Burgos: Child of Water (written by Carmen Rivera and directed by Cándido Tirado), to be held on what would have been the 99th birthday of the famous Puerto Rican poet. Rodríguez, who incidentally was quite pregnant at the time, started feeling contractions the day before the reading. 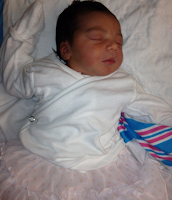 As a result, on the same day as Julia de Burgos’ birthday, she gave birth to a healthy baby girl. Meet the newest collaboration of Rodríguez and and husband Marc Reyes, daughter Julia Helena Reyes (or Julia Helena Reyes Rodríguez al estilo latino), shown at left. She was born at 9:54pm on Sunday, February 17, 2013, weighing 7.6 lbs and measured 19 ¾ inches long. 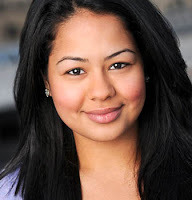 She joins big brother Marcus Joaquín in the family. 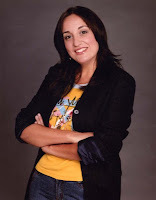 El Blog de HOLA is happy to report that mother, father, big brother and daughter and are all doing well. 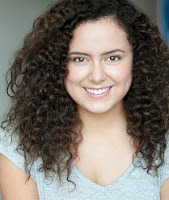 Inma Heredia will be performing at Estrellas de Cabaret, produced by Hispanic Unlimited Entertainment Studios (HUES). The live variety event will feature other artists and will take place on Wednesday, March 6, 2013 at González & González, located in the NoHo area of Manhattan. For more information, click here. 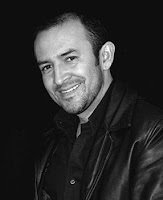 Jean-Marc Berne’s composition “Canta por ella” is getting published by Sony Music Entertainment and will be performed by Christian Daniel for his upcoming album. Annie Henk is starring in the Migdalia Cruz play Lucy Loves You. 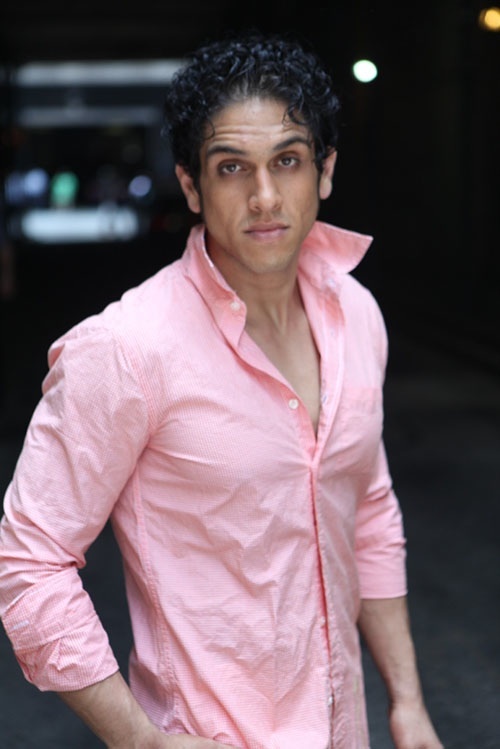 Directed by Lou Moreno, the show is produced by and will take place at INTAR, located in Manhattan’s Hell’s Kitchen/Clinton neighborhood and will star Gerrardo Rodríguez and Bertha Leal. For more information, click here. 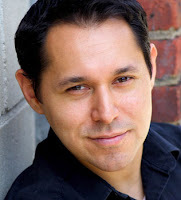 Iván Goris is starring in the play Kings (written and directed by Anna Governali) will have a March and April run in the Nuyorican Poets Café, located in Manhattan’s Loísaida neighborhood. 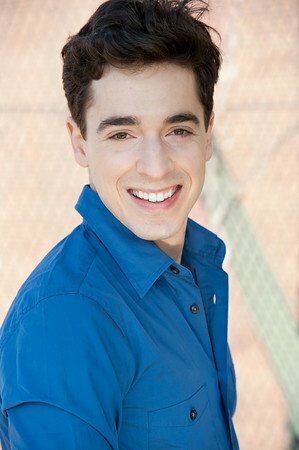 Francisco Ramos booked a role on the television series "South Brooklyn" (Bounce TV). item, send us an e-mail. If you are not an HOLA member, why not join? If you are not a Friend of HOLA, why not become one? and Ben Affleck, at right. Check out this article by Hilary Costa in Sky News regarding the rising population of Latinos in the United States while the number of Latinos in the media remain woefully low, in which A.B. Lugo and María F. Nieto are quoted and the Hispanic Organization of Latin Actors (HOLA) prominently mentioned by clicking here.